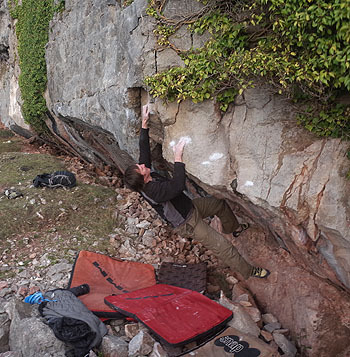 On New Year’s Eve Si Panton bagged a good new problem at the right side of Manor Crag. ill Manors 7A starts sitting with hands matched on a large layaway at the right edge of the wall. 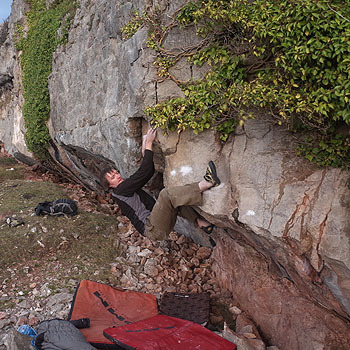 Pull up and follow slopers left above the lip of the roof to a crux section moving up past a pinch and left into the finishing moves of The Academic Workload.